Starting a new business comes with an enormous amount of responsibilities. 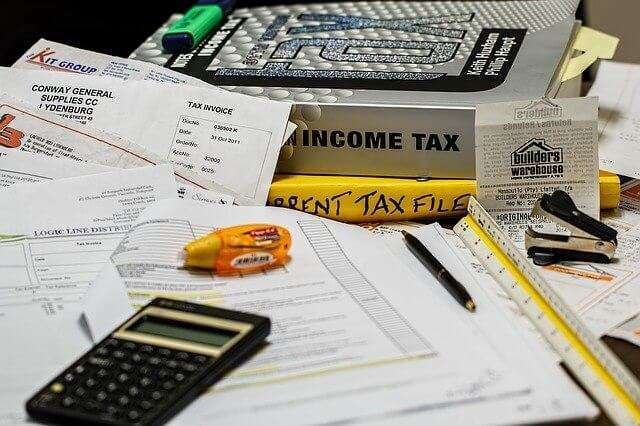 One of the most commonly overlooked, though, is the responsibility to learn how, when, and why to report different types of taxes the business may be obligated to pay and file. Payroll taxes, also known as employer withholding taxes or 941 taxes, are among the most important. Consider this: employees get their paychecks and expect their employer to account for the proper withholdings. The employee then gets their W2 the next year, files their personal income tax return, and hopes for a refund. Theoretically, that refund comes from the money the employer was supposed to have been paying to the IRS all year. While the IRS won’t refuse to pay the refund to the employee, if the employer didn’t make the correct deposits then the business and its owners will be pursued by the IRS collections department. Dealing with the IRS collections department is rarely a pleasant experience, to say the least. So, let’s take a look at the basics behind how and when a business needs to pay its payroll taxes. In particular, this article will focus on LLCs and corporations, or sole proprietorships or partnerships that have employees. First off, the standard form used by most businesses is IRS Form 941, Employer’s Quarterly Federal Tax Return. It will include the employee’s withheld federal income tax, social security tax, and Medicare tax (collectively “employment taxes”). These quarterly returns each cover three months (January-March, April-June, July-September, and October-December) and are required to be filed no later than the last day of the subsequent month after the end of a quarter (April 30th, July 31st, October 31st, and January 31st). One deviation from this form is IRS Form 944, Employer’s Annual Federal Tax Return. This form is for those businesses that have such a small payroll throughout the year that the IRS elects to change the requirements for the business. Note that the IRS elects to make that change, not the business. If a business has not received notification at the beginning of the year that its requirement has changed to Form 944, the business needs to assume it should still file Form 941, as usual. If a business is required to file Form 941 and its total employment tax accumulation throughout the quarter is less than $2,500, then the business may pay its taxes when it files the return. If the business is going to have more than $2,500 in total employment taxes for those three months, the business is required to pay periodic payments in advance of the return. These periodic payments are called “federal tax deposits,” or FTDs. Generally, most businesses fall into one of two categories of requirements for when to make their FTDs. The $2,500 rule just outlined is actually an exception and not a part of the two standard categories. I have always recommended to any business that may come close to that dollar amount not to risk being penalized in the event it ends up accumulating $2500 or more. Instead, it should make FTDs throughout the quarter so as to avoid receiving a tax penalty once the return is filed. New businesses with employees are, by default, assigned a “monthly depositor” status. This means the business must make an FTD by the 15th of each month, for the total employment tax liability from the month before. For example, October payroll taxes are due to be paid no later than November 15th. Also, there is one other important delay to be aware of with the EFTPS. Any payment made on EFTPS can take a day to post to the account. So, back to the monthly FTD, if a business is required to make its FTD by November 15th, it really needs to go online and make that payment no later than 8 p.m. Eastern Time on the 14th so it will post to the account by the 15th. I have seen many businesses go on EFTPS on the 15th each month and make their deposit, assuming it would be considered on time. Unfortunately, they come to find out later that they have been penalized for late deposits. The second standard depositing category, other than monthly, is that of a “semi-weekly depositor.” For a business to become a semi-weekly depositor, it must have accrued more than $50,000 of employment taxes during what the IRS calls its “lookback period.” For any given year, the lookback period includes the first and second quarters of the previous year, and the third and fourth quarters of the year prior to that. For example, the lookback period for 2014 runs from July 1, 2012 through June 30, 2013. If, during that one-year span, the total employment taxes accrued amounts to more than $50,000, then the business will be considered a semi-weekly depositor in 2014. The name “semi-weekly” can be misleading, however. In reality, the requirement is to make a deposit after each and every payroll. Thus, if a business does payroll weekly and is a “semi-weekly” depositor, that business will have to make a payroll deposit every week. If a “semi-weekly” depositor only does payroll once a month, then it will only have to make one FTD per month. If payroll was done on a Saturday, Sunday, Monday, or Tuesday, the deposit must post to the account by the following Friday. Again, the one-day delay using EFTPS needs to be taken into consideration. If a deposit is required to post by a Friday, the business needs to go on EFTPS and make the deposit by Thursday so the payment will post by Friday. The one other exception to these two standard requirements (monthly or semi-weekly) is the $100,000 Next-Day Deposit Rule. If, during any deposit period (be it a monthly or semi-weekly period), a business accumulates a total employment tax liability of $100,000 or more, the business must make its deposit on the next business day. While all of these rules may seem daunting, failure to learn and operate by them is considerably worse. The IRS takes failure to file and pay employment taxes very seriously. So much so, it is one of the few ways the IRS can pierce the corporate veil of an LLC or corporation and hold owners and/or officers, and sometimes even non-owner/officer employees, personally responsible. Needless to say, no business owner or manager wants to be in the position where the IRS can come after them, personally, for the failures of the business. Thus, it is critical to learn the basics of employment taxes and adhere to them at all times. Although beyond the scope of this article, it is important to note that states that impose income tax generally require employers to withhold and deposit payroll taxes to the state, which is in addition to the employers’ obligation to withhold taxes for the IRS. Employers who fail to do this can face problems similar to those faced by employers who fail to correctly make federal tax deposits. Additional information regarding IRS payroll tax depositing requirements can be found in IRS Notice 931.